You leave cookies for Santa and carrots for the reindeer, but what about the poor elves? Why not make some elf sized donuts for them. 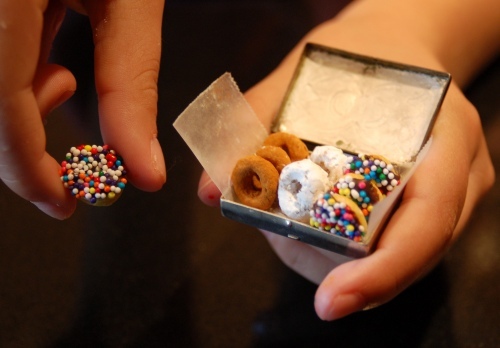 These cute miniature donuts are part of a collection of tiny treats that Catherine and her daughter Emma made. 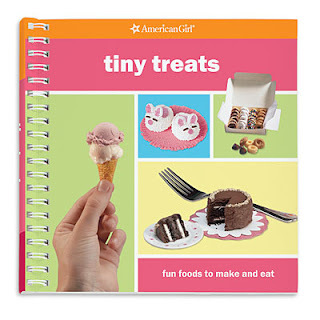 They were inspired by an American Girls book, Tiny Treats. And talk about easy, there is no baking involved. These cute tiny donuts are actually Cheerios that are decorated to look like donuts. You can check out how they made their tiny donuts and the rest of the fun minuature treats over at Unconfidential Cook. Those donuts are just my style! I can eat a dozen donuts and not feel guilty! I wonder how many would fit into an empty Altoids box. Oooo, thank you so much for sharing this- I am excited to try a few things out now! OMG I'm so doing this with my grand daughter she is going to love this. These are sooo adorable and I would imagine just as fun to make. Now..all I need is a mini cup of Joe to accompany my lil' donuts.